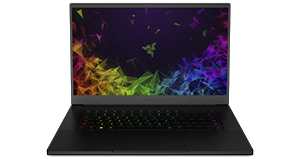 The world’s smallest 15.6” gaming laptop, the Razer Blade 15, is available in two different configurations. The updated Advanced Model now features the latest NVIDIA® GeForce RTX™ graphics and 144Hz Full HD display for the ultimate gaming experience. The Base Model delivers amazing on-the-go gaming driven by the NVIDIA GeForce GTX 1060 along with dual storage. Powered by an 8th Gen Intel® Core™ i7 6 core processor and available with the new NVIDIA® GeForce RTX™ 20 Series graphics with Max-Q design. Experience real-time ray tracing, artificial intelligence, and programmable shading with the Turing based GeForce RTX graphics. Go full throttle simultaneously playing and streaming, or using the latest creative apps to edit videos. 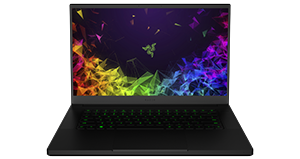 Supported by fast and upgradeable dual-channel memory, the world’s smallest 15.6” gaming laptop is available in two tiers - a Base Model featuring NVIDIA GeForce GTX 1060 with Max-Q design graphics and dual storage with a SSD for speed and a HDD for capacity, or the Advanced Model with the latest GeForce RTX graphics utilizing a pure SSD solution in a thinner chassis. Connect a Razer Core X via Thunderbolt™ 3 and get more frames per second in games with a higher power desktop graphics card. Want to create instead of destroy? Combine the power of the built-in NVIDIA® GeForce® 10 Series graphics with a second GPU to decrease render times in supported creative apps. 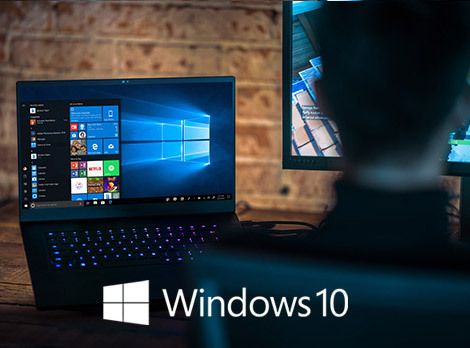 PC gaming is better and more social than ever on Windows 10, with games in 4K, Game Mode, game broadcasting, and more.1 And with Xbox Play Anywhere, you can play in more places on Windows 10 PCs and Xbox One.